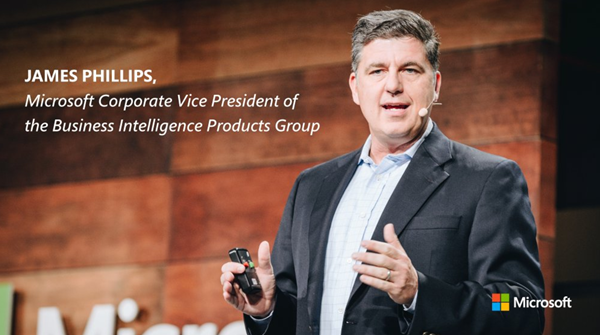 The day started at 8:00 a.m. with a keynote speech by Microsoft Corporate Vice President James Phillips. 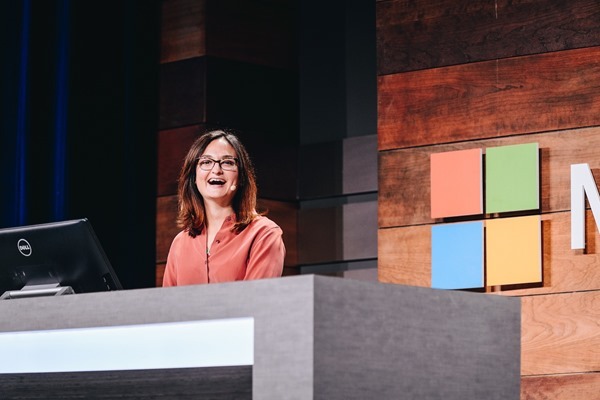 Phillips noted that as of the Summit, Power BI customers have created 11.5 million data models, with 30,000 more added daily. 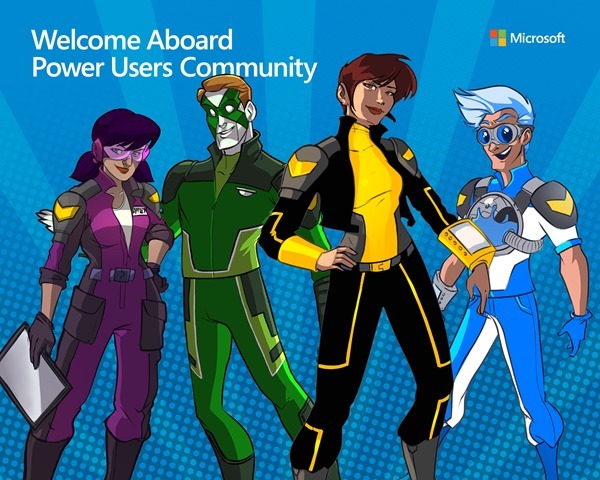 Power BI is not only a hit with customers, but it's also created fans inside Microsoft. "[Power BI is] by far, the most widely-used service that we use inside the company other than Office 365 email," Phillips said in his keynote. At 3:30 p.m., Alberto Cairo took the main stage to deliver his closing keynote. He shared tips on creating data visualizations to tell an effective story. “A visualization shows only what it shows, and nothing else. Don't over-interpret,” Cairo reminded his audience. 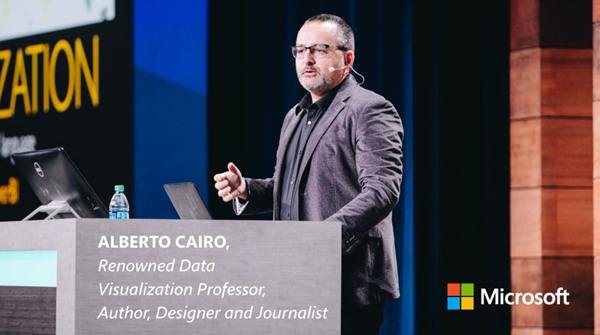 Alberto has a data visualization and storytelling class available for free at powerbi.microsoft.com. If you liked his keynote, don’t forget to check it out. The big announcement in the opening keynote was for the general availability of Power BI Premium. The new service offering is geared towards enterprise users, and enables the distribution of reports broadly across an enterprise and externally, without requiring recipients to be individually licensed. Along with this announcement, Phillips shared in his keynote that Power BI Report Server is also generally available as part of Power BI Premium. 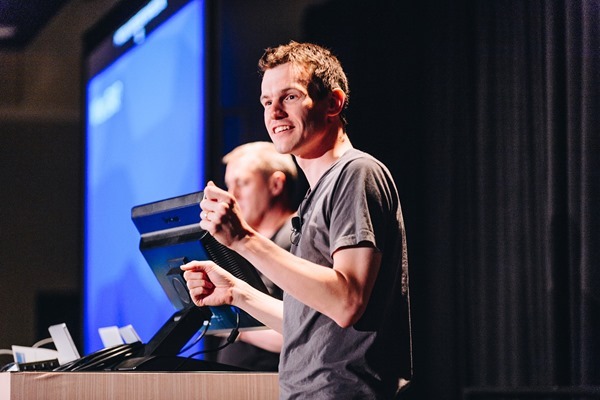 Other cool features and updates that will be available over the next 3 months were showcased by the Power BI team on stage, including the timeline custom visual, quick insights, drill down and Visio integration. Yesterday we also released the Power BI Desktop June update and announced that ArcGIS Maps for Power BI is generally available. A lot going on indeed. Sessions were the core of the day at the summit. Between keynotes, breakouts and workshops there were 41 sessions during the day for attendees to enjoy. It didn’t matter what you wanted to learn, there was an opportunity for everyone. DAX '50': DAX for the rest of us! 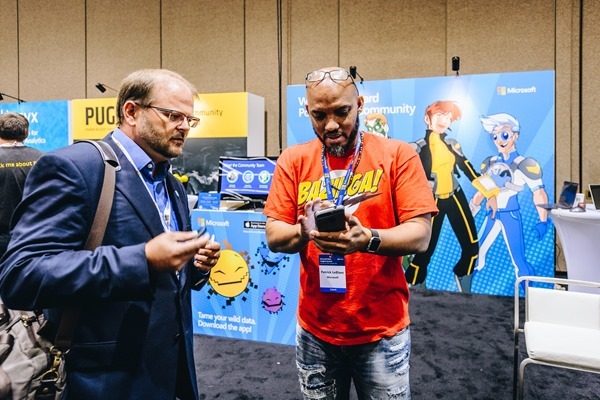 The second day is looking as good as the first one, so attendees will still have a hard time choosing which sessions to go to, including all customer stories sessions. No problem though. 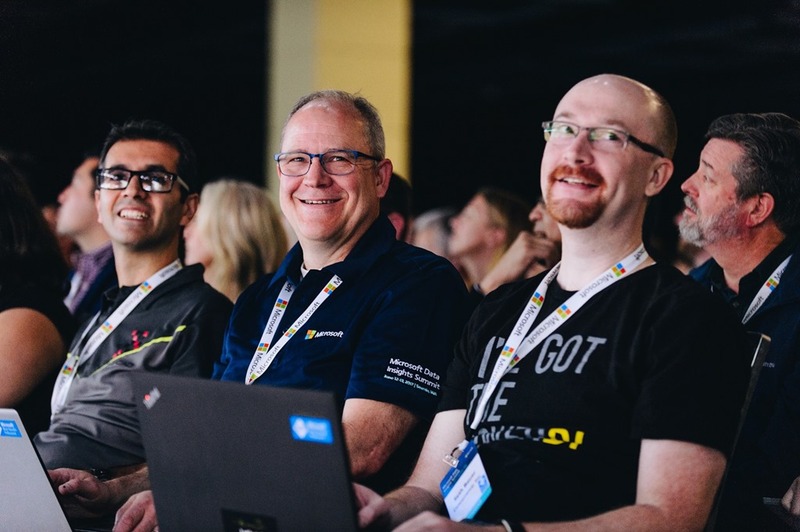 We have everyone covered with on-demand videos of most sessions when the summit is over. Stay tuned. During breaks and mealtimes, the community lounge was a popular destination! Attendees enjoyed a taste of the latest technology with Virtual and Augmented Reality activities, including an app-driven scavenger hunt with our product inspired characters: The Datanauts! If you’re here at the summit and you have not checked this out, please go to our community site for instructions, download links, and learn more on how to get started and how to earn even more prices. If you’re not here, play around with our heroes’ app anyways (you can “AR-scan” the image on this blog post to get a glimpse of our heroes coming to life in your screen). We will be having more activities after the summit wraps up on our online community. 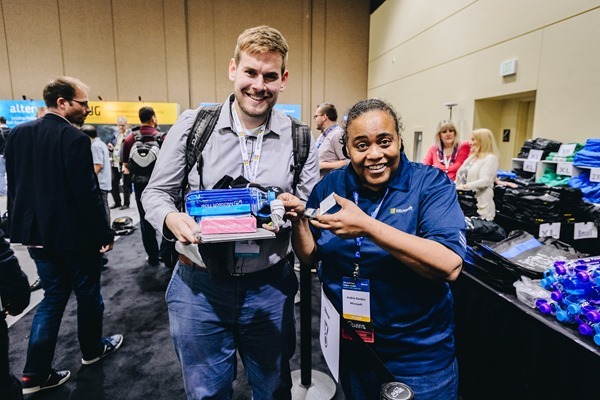 The Microsoft Flow and PowerApps teams were also at the community booth, helping to hand out t-shirts and holding their own popular giveaway for a Surface Book. Members of the community gave informal presentations all day at the Community Theatre, providing an opportunity for attendees to relax and talk about some other subjects, such as using Twitter data more effectively. Needless to say, hundreds of attendees headed to the Ask the Experts section to get their questions about Power BI, Excel, PowerApps, Flow or all of them working together answered directly from the engineering team and other Microsoft experts. Nothing else to say here besides the fact that the team will be available today to answer any other questions attendees might have. Drop by to say hi and ask your questions! 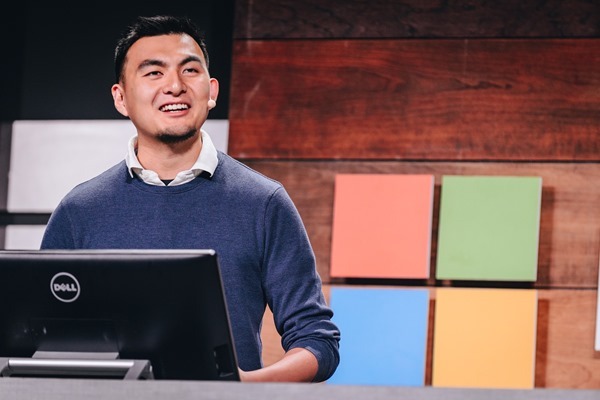 If you missed any of yesterday’s featured presentations, keep an eye on the Power BI YouTube channel to catch them on-demand! 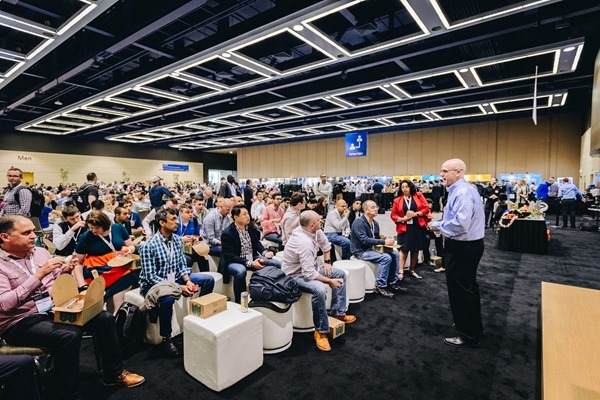 The livestreamed sessions will continue this morning at 8 a.m. PT, with the Storytelling with Power BI presentation, and ends with the closing keynote by Freakonomics authors Stephen Dubner and Steven Levitt at 2:30 p.m. PT. There’s a big theme at the summit and that is community front and center. Just like last year, James Phillips opened the summit with a video: a year in review. No better way to say thanks to our passionate community of experts, customers and partners. And we have a full day left! 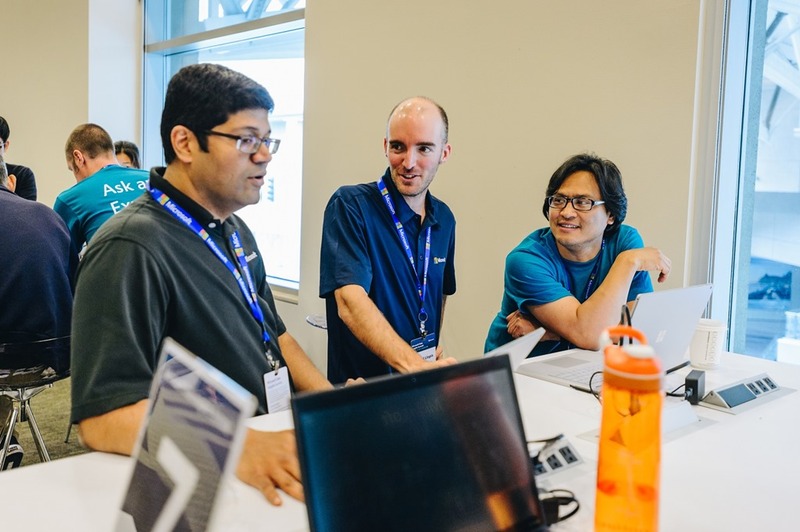 If you’re here in Seattle, see you today at the WSCC and if you’re not, remember to tune in, watch the livestream and interact with us on social using the hashtag #MSDataSummit.